It's not too late to buy the retirement home of your dreams. The path to buying your dream home in a 55+ community can seem tricky and complex. It’s also an expensive investment and if you don’t have all of the funds, it can be nearly impossible to buy your home. With the housing market changing, you should always stay on top of the latest interest rates and loan options available in your area if you’re looking to buy. Luckily, there are a variety of loans that help potential homebuyers become official homeowners. There are local, state, and federal housing programs that offer loans and down payment assistance to qualifying applicants, from first-time homebuyers to veterans and senior citizens. Check out some of the different loans for homeownership assistance. An FHA is a mortgage loan insured by the Federal Housing Administration. An FHA loan requires a low down payment and has less strict credit score requirements than conventional loans. FHA loans are popular among first-time homebuyers who want to become homeowners but don’t have the 20% down payment. With an FHA loan, borrowers can put down as little as 3.5% of the down payment. In order to qualify, borrowers must have a credit score of 580 or higher. Those who have a credit score between 500-579 will need a 10% down payment. And because they are backed by the federal government, all FHA loans have mortgage insurance. Borrowers can either pay a one-time upfront monthly mortgage insurance premium or an annual premium that is incorporated into their monthly mortgage payment. A VA loan is a great option for veterans and servicemembers as well as their surviving spouses who want to purchase a home. It is a mortgage loan that is guaranteed by the U.S. Department of Veterans Affairs and was designed to offer long-term financing to veterans. A VA loan is provided by private and qualified lenders like mortgage companies and banks. There are different types of benefits associated with a VA loan such as Purchase Loans that don’t require down payment or private mortgage insurance as well as the Interest Rate Reduction Refinance Loan that helps borrowers get a low interest rate through refinancing their existing VA loan. There is also a Native American Direct Loan Program that helps veterans of Native American descent finance the purchase or improvement of their home on Federal Trust Land. The United States Department of Agriculture (USDA) offers home loans to rural homeowners as well as financing options to elderly, disabled, or low-income rural residents in multi-unit housing. One of the rural housing loans offered to eligible applicants is the Single Family Housing Direct Home Loan. This loan program helps low-income residents get adequate housing in rural areas by providing payment assistance in the form of payment subsidy that reduces their mortgage payment temporarily, which is determined by the adjusted family income. No down payment is required and interest rates can be as low as 1% when modified by payment assistance. Reverse mortgages are only offered to homeowners who are 62 years old and above. This type of loan basically reverses a home’s equity accumulation through payments to the homeowner. 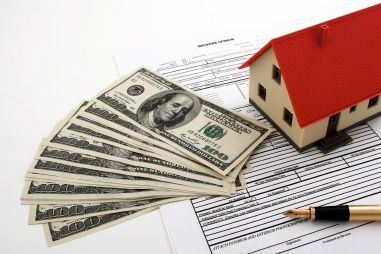 Reverse mortgages may appeal to retirees because they can eliminate monthly mortgage payments, homeowners get additional cash flow during retirement, and the money is not considered taxable income. Although this loan may have its advantages, it also has disadvantages. Homeowners will have to deal with high upfront and backend costs as well as the cost in proportion to the size of the loan.